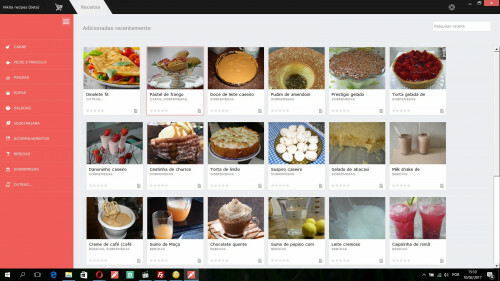 Program to search and view cooking recipes.Allows you to create your own cookbook, just create a user account. Option to create a shopping list from selected recipes. System in Portuguese.